Iran stops dismantling centrifuges in Natanz and Fordow due to complaints by hardliners. 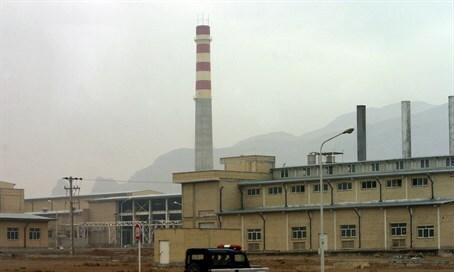 Iran has stopped dismantling centrifuges in the Natanz and Fordow uranium enrichment plants, despite the nuclear deal with the West, Reuters reported on Tuesday, citing state media. The move came after conservative lawmakers complained to President Hassan Rouhani that the process was too rushed. Iran had last week announced it had begun shutting down inactive centrifuges at the two plants under the terms of the deal with world powers in July that limits its nuclear program in exchange for easing sanctions. But Iran's hardliners continue to resist and undermine the nuclear deal, which they see as a “capitulation” to the West, noted Reuters. "The (dismantling) process stopped with a warning," Ali Shamkhani, Secretary of the National Security Council, was quoted as saying by the ISNA news agency. Only decommissioned centrifuges were being dismantled to begin with, of which there were about 10,000 at Natanz and Fordow, the Atomic Energy Organization of Iran has said. Shamkhani did not specify what he meant by "warning", but the head of parliament's nuclear deal commission, Alireza Zakani, told the Mehr news agency that the dismantling had stopped in Fordow because of the lawmakers' letter to Rouhani. Iran’s hardliners have continuously clashed with Rouhani, calling on Iran to reject the nuclear deal reached with world powers which they describe as an "injustice to our nation." Rouhani has fired back at his critics, calling them “political cowards” and suggesting they “go to hell”. In June, he hit out at critics of his drive for a nuclear deal with major powers, saying they belittled the impact of sanctions on ordinary people. Just last week, a group of 20 hardline parliamentarians wrote to the president complaining that the deactivation of centrifuges contradicted the directives of Supreme Leader Ayatollah Ali Khamenei. Khamenei has said that the deal should only be implemented once allegations of past military dimensions (PMD) of Iran's nuclear program had been settled. The International Atomic Energy Agency is expected to announce its conclusions on PMD by December 15, according to the news agency.